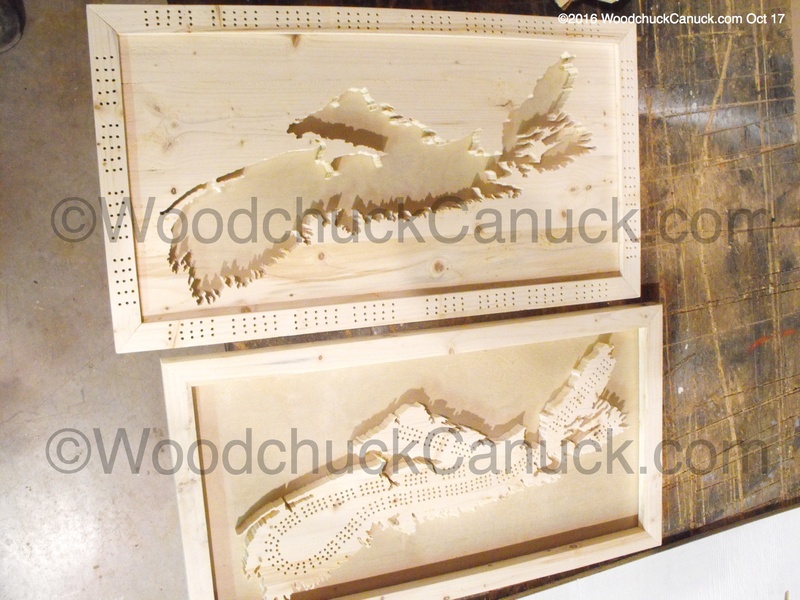 A couple of people contacted me about combining the design on my wooden maps with cribbage boards. Worth a shot I figured. It was only when I realized I had to drill 361 holes did I begin to understand the amount of work involved. 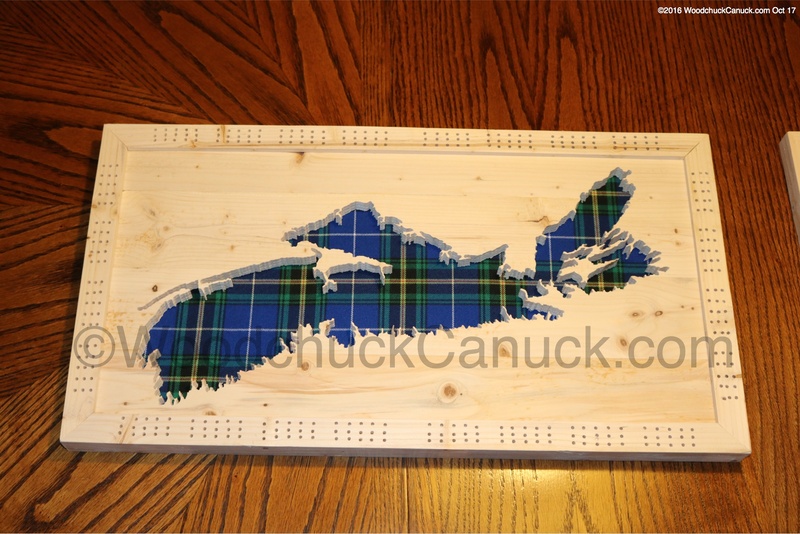 It took a couple of hours of drawing to get the alignment of the holes to fit on the map of Nova Scotia. 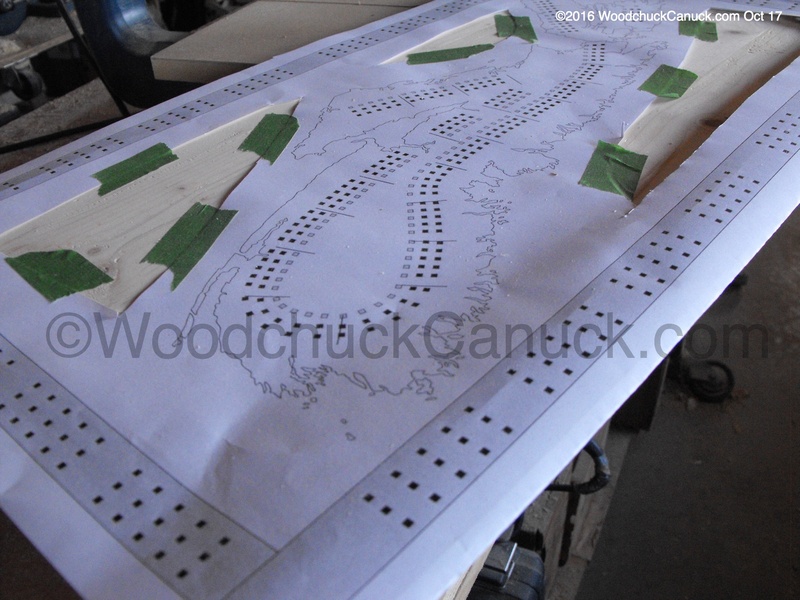 The cribbage board with the holes on the frame was a little bit easier, as it only took some basic math to figure out the spacing. Here are the wood parts all cut out. I use Balsam Fir from my property I harvested earlier this year. 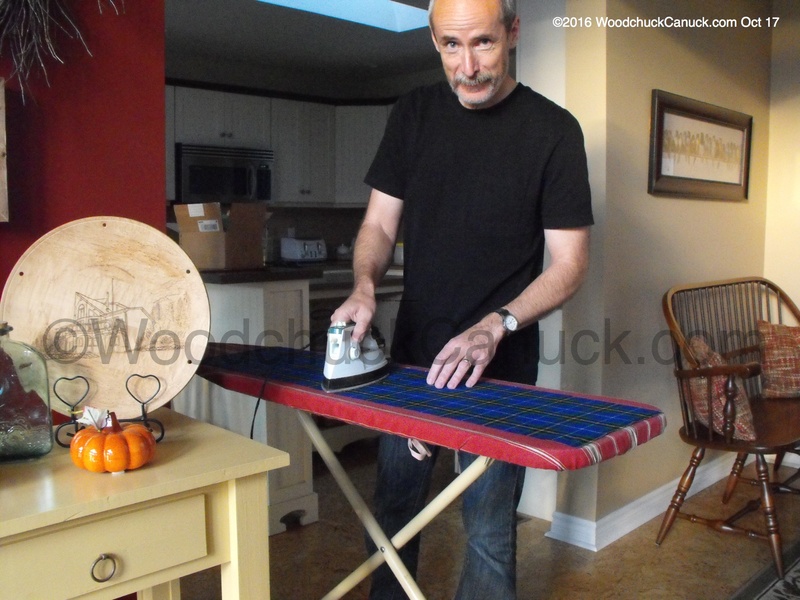 The wood was actually 2×4’s that I had used on the sawhorses to cut plywood. I cut and planed down the pieces I needed and this is the results after many hours. The sizes are approximately 24 x12 inches. it was painful I tell ya! 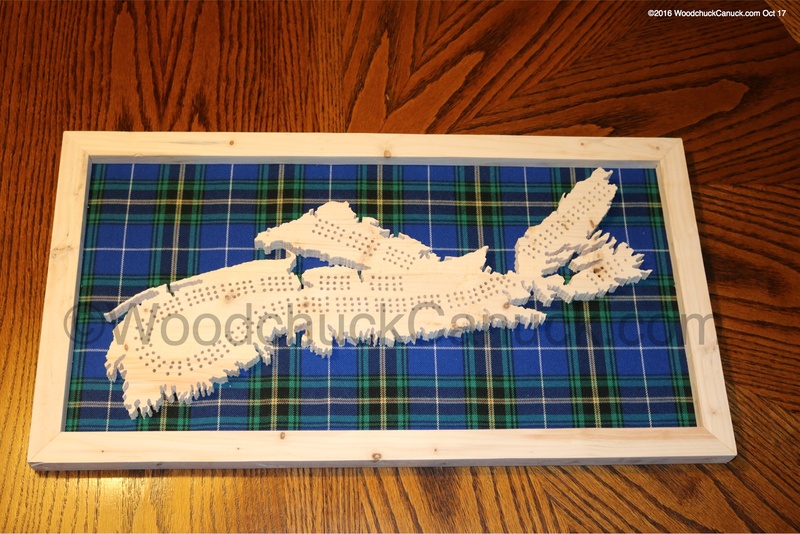 All done now, and here I present Nova Scotia wood map No. 18 and No. 19. 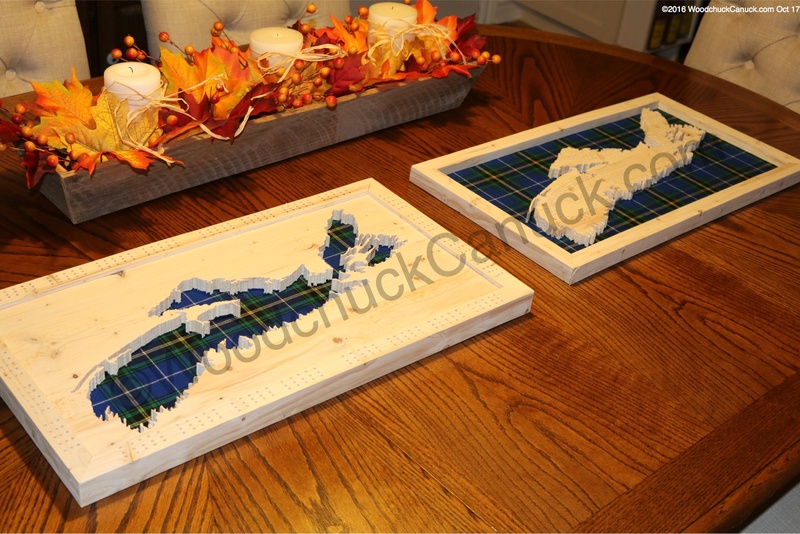 Nova Scotia wooden map No. 18 is on the left, No. 19 on the right. For both, the final peg hole I have not drilled yet. For No. 18 I can add it to whatever corner you want (or not add one at all, that’s what I would do). For No. 19, the peg-hole is already drilled, up near Glace Bay. Pegs are not included. You can check to For Sale page to see if they are still available. If they are sold and really want one, let me know and I will make one just for you. If you want to purchase the template to make your own, contact me for details.